Kanako was in Washington for a couple of weeks visiting her former host family in Everett and I came up to hang out for a day. 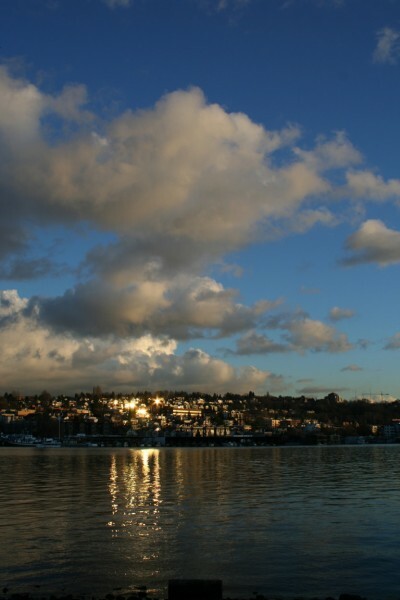 We drove around and saw some of the sights, including Golden Gardens and Gas Works, the latter of which is by far my favorite scenic spot in the area. I only took a few photos because it was getting dark and I had forgotten the quick release attachment for my tripod (although I did have the tripod!). Although four may not make a good slideshow, I thought I’d throw them up here anyway. The first one is a fairly large panorama, so definitely click on the larger image link to see the whole thing, and be patient if you have a slow connection. Hope you enjoy them. 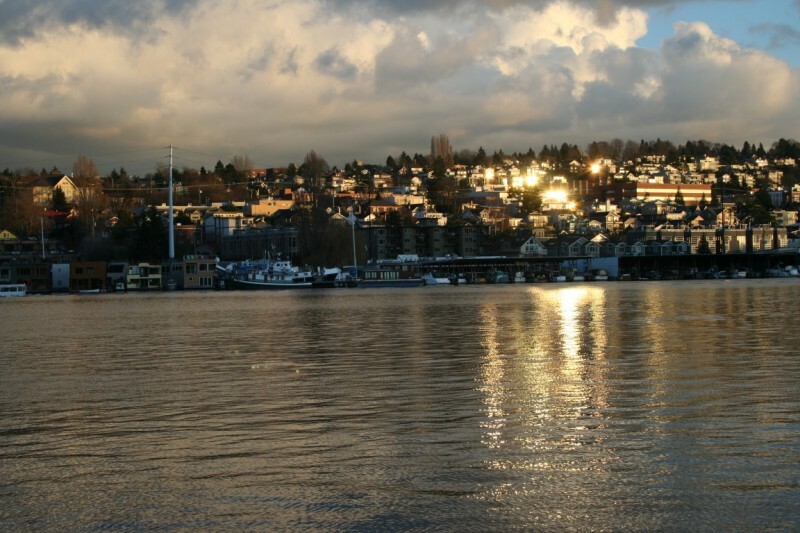 This is a fairly large panorama of Gas Works Park, Lake Union and the Seattle skyline as seen from the park. For a better view of this one here is a much larger version. This shows some of the amazing view from the park. I would highly recommend checking it out if you've never been there before. 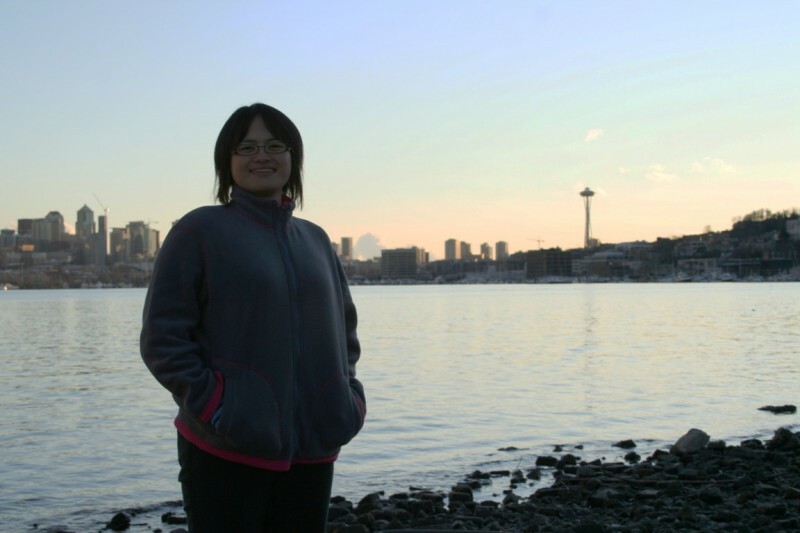 This is my friend Kanako from the part of the park where you can go down to the lake shore. This is the view from the shore looking across the lake to the other side. I really liked how the sun was reflecting off the windows of the buildings and the lake itself. Just a different view of the same purdy scene.